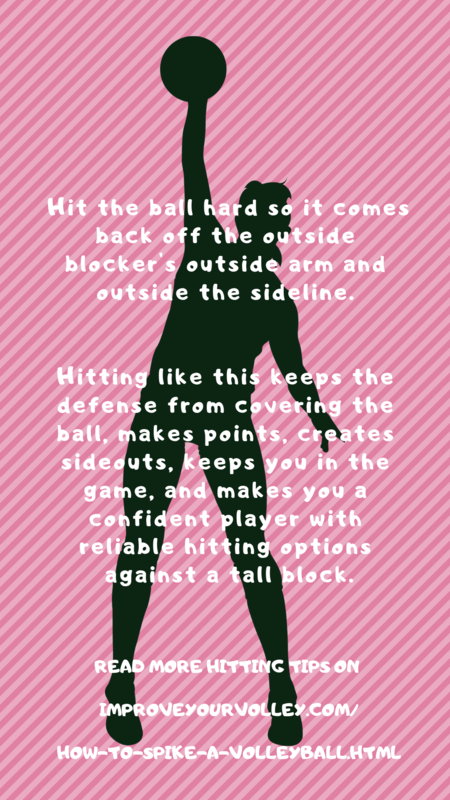 These three spikers tips are sure fire ways you as an outside hitter can get yourself out of trouble when it comes to hitting a ball over the net and past a big opposing block. 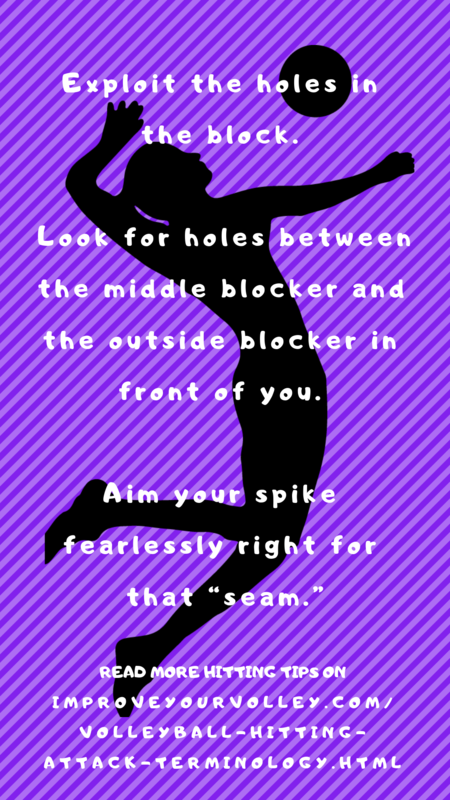 Aim for the seam when the middle blocker and outside blocker do not go up and form a solid block together. 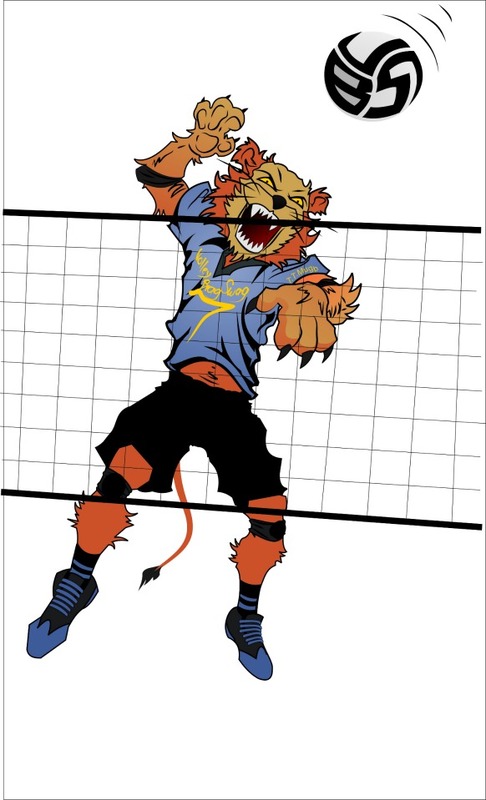 The seam is the area between the outside blocker's hands and the middle blocker's hands. It's that space they're supposed to close when they block together at the net. That's a "hole in the block" that you need to be comfortable hitting at because there's a good chance there's no one defending that space in the backrow. If they don't then that's an easy play for you to make. Alot of teams that swing block leave that hole in the block on purpose and have a libero cover that area but its not an easy hit to dig. So test the defense. Hit at the seam until the block closes it or until you've been dug once or twice. When you see a hole in the block, hit right at it. Keep doing that until the opposing team closes the block. Many times you'll find that you score a point. Heroes spike the ball on an imperfect set. 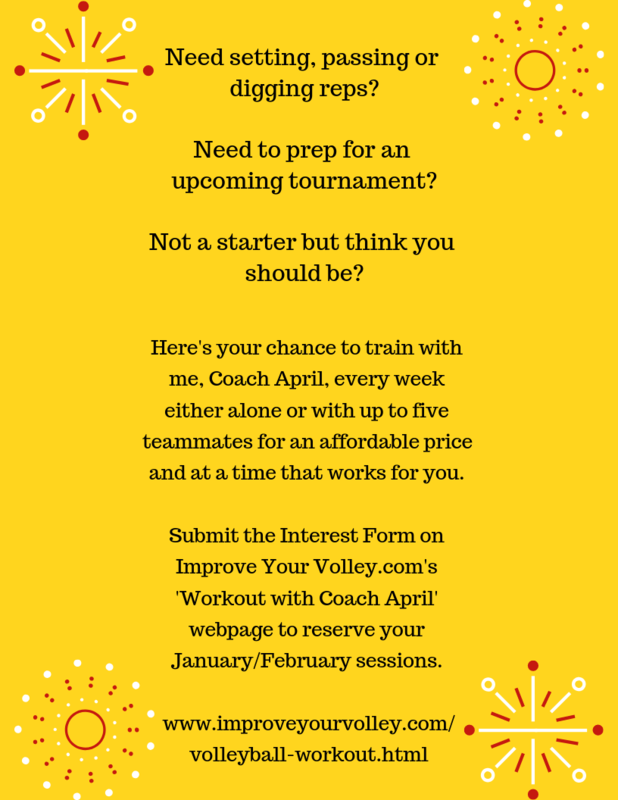 If you want to be an outside hitting hero you want to learn to hit the imperfect volleyball set, not just the perfect ones. 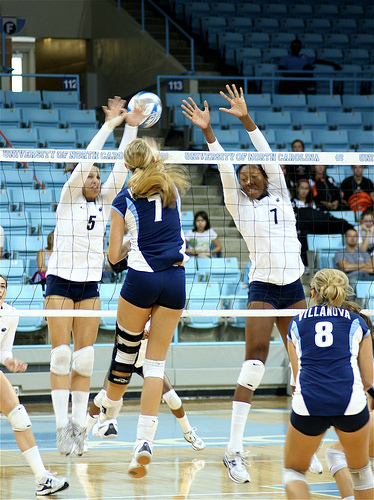 Within reason, you have to be aggressive and learn to spike the ball that the opposing team and everybody in the gym thinks you are going to "free ball" over. That means learning to move fast, think fast and how to hit a ball, that is above the height of the net but has been set a little outside or a little inside or a little off the net. It may not be your favorite ball to hit but its still a hittable ball if you make a quick decision to move fast enough to attack it. 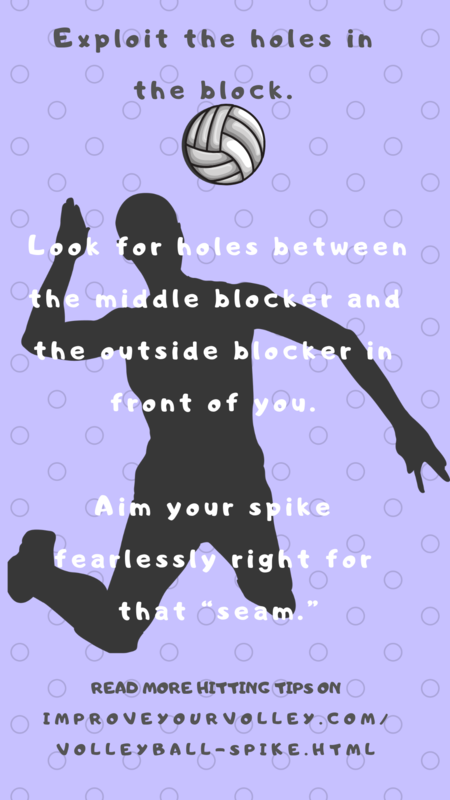 You would need to take a strong hard spike approach while staying behind the ball so you can see the opposing team's court and the block when you go up to hit. 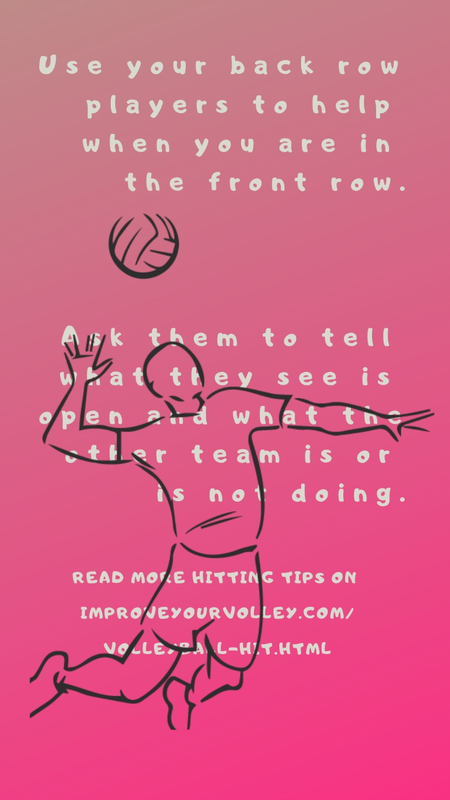 Then you need to be confident enough and aggressive enough to spike the ball instead of just giving the other team an easy free ball. Any team can run a play against your team when you give them a free ball but you increase your chances of scoring a point or at least putting the other team in difficulty if you hit the ball at them. 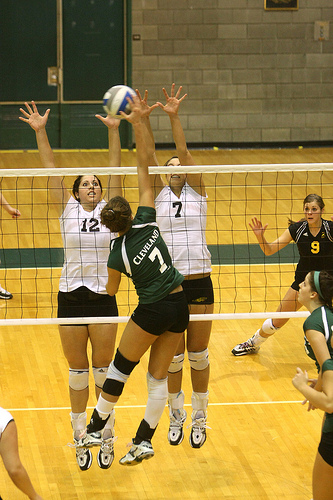 Spikers Volleyball Tips: Reach high and aim for the top of the opposing blockers hands. 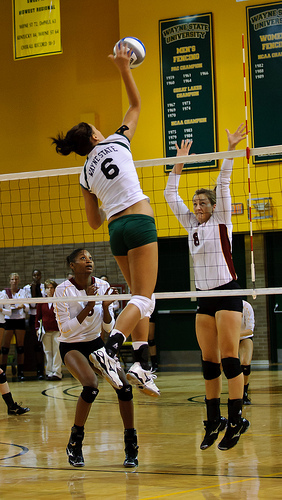 Outside hitters should learn to reach high to hit the ball, contacting it at its highest height and looking to hit high off the blockers hands. 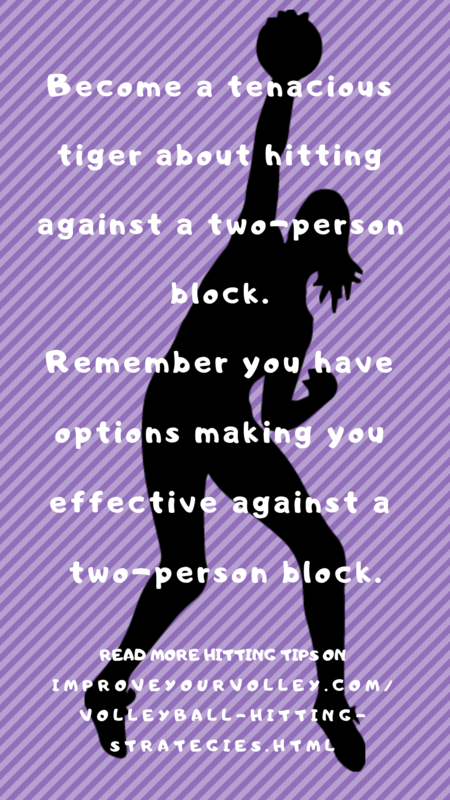 You may have to tell your setter to set you just a but further off the net. 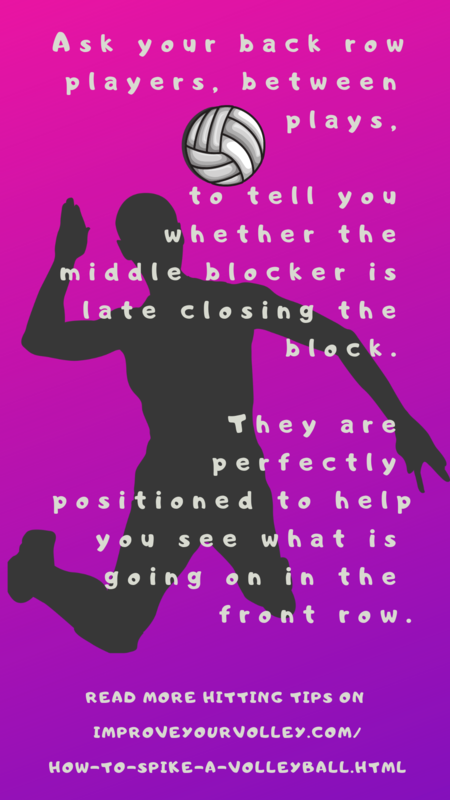 If you do, you need to stay behind the ball to see the court and the block while hitting and aiming for high hands on the block like you'd do if you were hitting high deep and long to the corners of the opposing team's side. 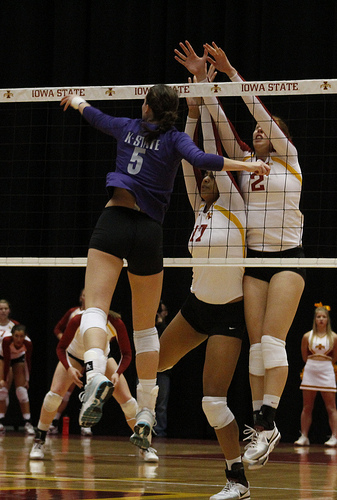 As a block goes up high, many times a blocker's hands don't penetrate the net. 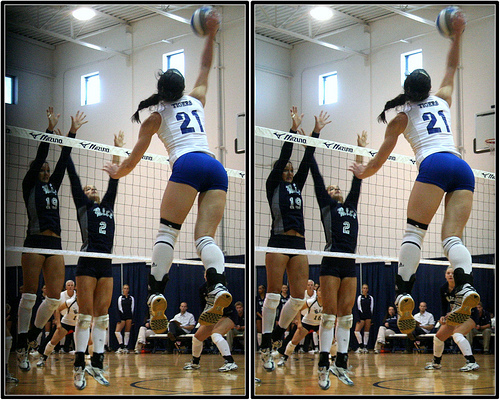 In an effort to block you, their hands go up high but don't come over the net. 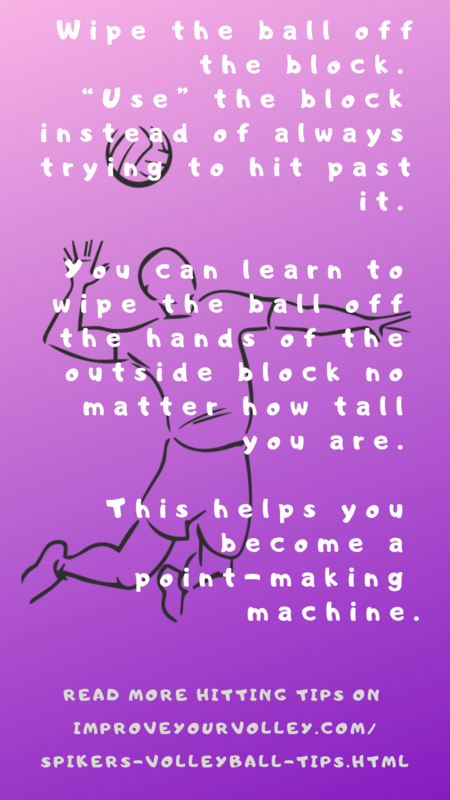 When you hit high off the blockers hands, the ball tends to bounce off their hands and go out of bounds, deep outside the court usually over the back row defensive players head. 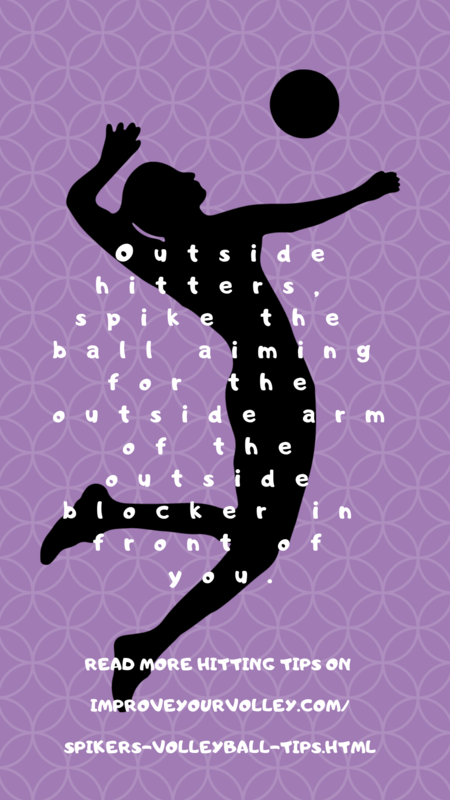 Spikers Volleyball Tips: Outside hitters should reach high to hit the ball, while looking to hit high off the blockers hands. But always reach as high as you can to hit, keeping your elbow high and contacting the ball at it's (your) highest contact point while still swinging hard and fast.